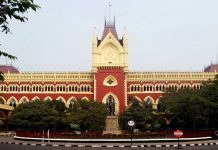 Kolkata, 07 March: CALCUTTA High Court has concluded hearing into a petition on the validity of appointments of 1.30 lakh civic police volunteers in the state. 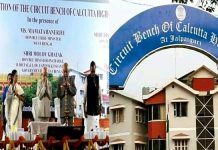 The division bench of acting Chief Justice Nishita Nirmal Mhatre and justice Topobrata Chakraborty today concluded the hearing that was being conducted since last year in phases. During the final hearing today, Chief Justice Mhatre expressed astonishment as to how could the interviewers in Bankura district hold the interview for 22 hours at a stretch. “Could any sane individual conduct the interview for 22 hours? What was reason for such a hurry?” she asked the state advocate general Kishore Dutta. Dutta responded by saying that the nine youths from Bankura, who had filed a petition in the High Court alleging corruption in civic police appointments, actually did so to malign the government as they could not crack the interview. The 320 others succeeded in the interview in Bankura, and thousands others in elsewhere in the state, but there has been no allegation of corruption from anywhere. Chief Justice Mhatre was not pleased with the reply. Instead she asked, was it possible to interview a job aspirant in a span of 30 seconds to 02 minutes (as has happened in Bankura)? “Even to enter the interview room, it would take at least 10 seconds,” she observed. Advocate general Dutta responded by saying that there was no ruling from any court stipulating the time required to interview a job aspirant. Chief Justice Mhatre then observed that those without having any additional qualification like NCC training were also appointed as civic volunteers. Why was this done, when the job required one to maintain crowd and traffic? Dutta replied by saying that score of the aspirants in Madhyamik (school final) exam was given prime weightage by the interviewers, and that there had been no corruption or nepotism whatsoever. Subsequent this, the division bench declared that the hearing has concluded. The bench would now pronounce its verdict at some later date, which has not been fixed yet. 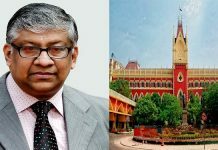 On 20 May 2015, Justice Sanjib Banerjee of the High Court had terminated the services of the near 1.30 lakh civic police volunteers in the state over irregularities in appointment and the termination was to come into effect from 31 December last year. But challenging the ruling, Trinamool government filed petition before the division bench. The bench has so far granted four extensions to the civic volunteers. Going by the last one, the civic volunteers would be in service until the High Court disposed of the petition.